Savio junior Jonathan Shoemaker was named a semi-finalist in the prestigious Siemen's Competition, the nation's premier competition in math, science, and technology for high school students. There were over 1860 projects entered nationally, including Jonathan's titled "A Three Species Model for Wormlike Micellar Fluids in Porous Media and its Applications". Jonathan teamed up with Ethan Nolan from Hayes High School and Dr. Young-Ju Lee from Texas State University on this effort. The project involved modeling the injection of chemicals into oil reservoirs in an effort to equalize the flow rate across all materials in order to recover a higher percentage of oil. 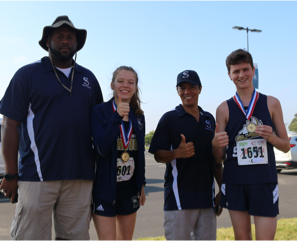 This partnership all began when Jonathan attended the Honors Summer Math Camp at Texas State University this last summer in which he was paired with Dr. Lee and another student from Hayes High School. Jonathan met daily with the professor and became part of his research team. “I got the chance to combine my interests in programming (Matlab) and Chemistry in order to solve a real-world problem. There is a great chance we can get this [project] published, which makes the experience even more valuable. I received a taste of research over a very intense six weeks.” Jonathan Shoemaker said. There were 25 team projects named as semi-finalists from our region of ten states. Five projects advanced to the next level for a chance to win $100,000, but the Savio project did not advance. Officials from the National Merit Scholarship Corporation publicly released the list of 2018 National Merit Scholars nationwide. There are approximately more than 1.6 million students who entered the 2018 competition by taking the 2016 preliminary SAT/National Merit Scholarship Qualifying Test (PSAT/NMSQT®), in the 63rd annual National Merit Scholarship Program. 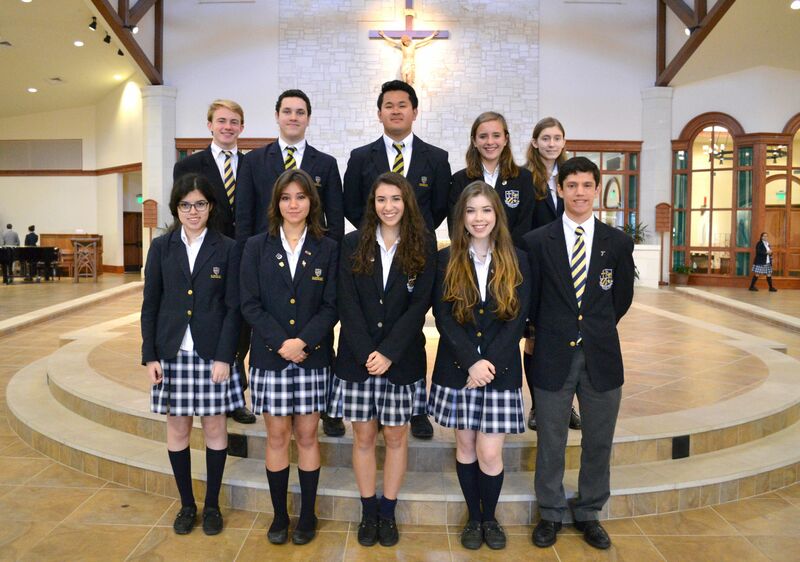 This year, twelve St. Dominic Savio Catholic High School students are receiving National Merit Scholar recognition. National Hispanic Scholars: Emily Basquez, Blaise De Oliveira, Elyse Garcia, Jose-Miguel Guevara-Hernandez, Elodia Perez, Olivia Ramirez, Isabella Young. National Commended Scholars: Emily Basquez, Morgan Berasley, Dustin Boettcher, Elyse Garcia, Minh Mather, Jonathan McNaughton, Olivia Ramirez, Bryn Stryk. 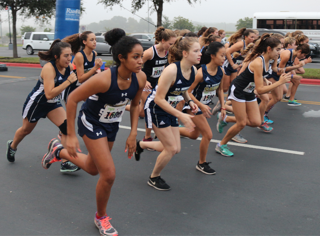 The Savio Cheer Team volunteered at the annual Buddy Walk® in Georgetown on Sunday, Oct 22. The Buddy Walk® was developed by the National Down Syndrome Society in 1995 to celebrate Down Syndrome Awareness Month in October and to promote acceptance and inclusion of people with Down syndrome. As Savio parent Robert Neill shared with us, "Patrick, of Patrick's Pack, is the grandson of Frank Bradley. Frank was one of the earliest advocates and supporters of Savio. Beyond significant monetary support, he put in 100s of hours as a key part of the formation and construction of the school. I like to say that if it were not for Frank and a few others like him, there would be no Savio today. " One of only two cheer teams in attendance, the Savio team cheered on the walkers and supporters, danced with many new friends to DJ music, visited with Patrick and his family and represented Savio well by being Christ's light. 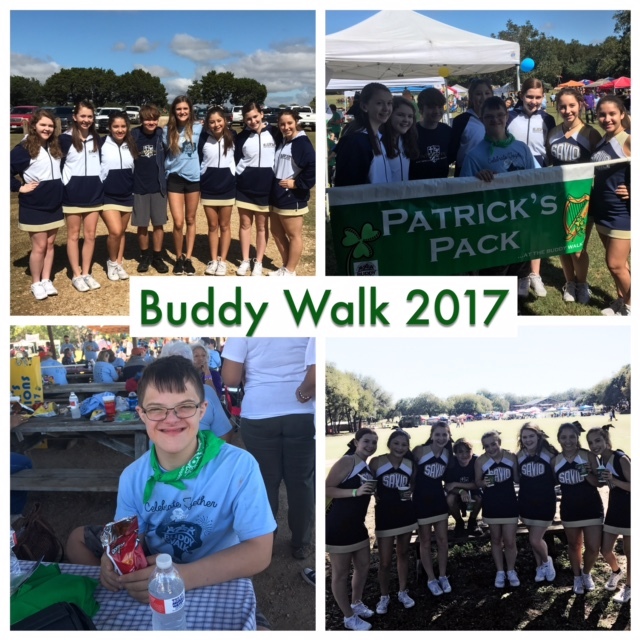 This Buddy Walk tradition has been an annual blessing for the entire cheer family and our cheerleaders and mascot seek to return the blessing to the attendees every year. This past week, the Personal Finance class taught by Mr. Brad Cake, traveled to Charles Schwab to learn more about saving and investing money. The class learned about the philosophy of the firm and how they emphasize prioritizing the needs of their clients'. 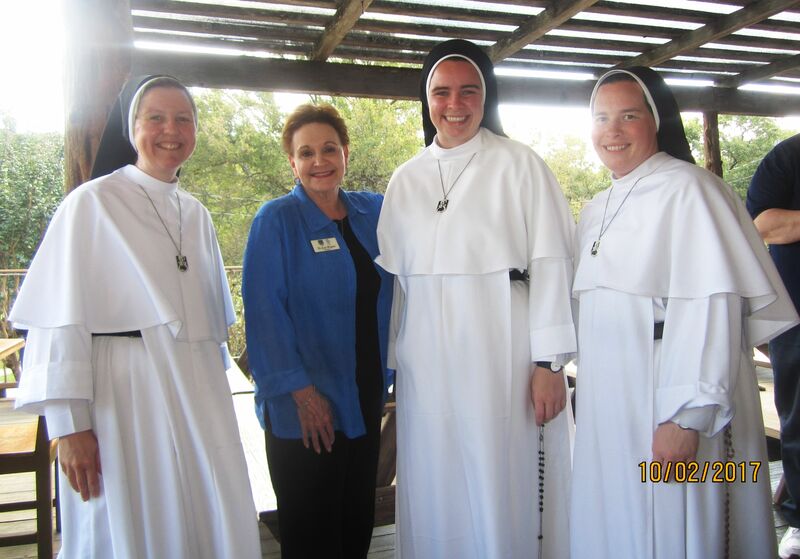 This customer-oriented mission corresponds with our school's mission to form servant leaders. This was a great learning opportunity for our students who may be interested in pursuing the finance field in the future. Students heard from experts about investing and market outlooks, spending priorities, and the fundamentals of saving money and preparing for the future. Lastly, students were able to hear from young Schwab professionals and interns about career and internship opportunities at Charles Schwab. This unique opportunity allowed our students to learn more about financial management and allowed them to interact with business professionals in a formal setting as they prepare for college and beyond. A special thank you to Mr. Chris Nusbaum for organizing this Savio visit to Charles Schwab, and for being such a wonderful host! 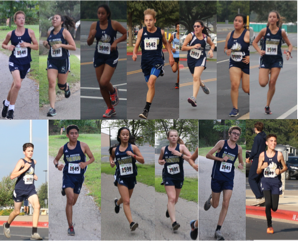 Last weekend our Savio Cross Country Team ran at the TAPPS 5A District meet resulting with four out of fourteen of our runners finishing in the top 15 in their divisions. 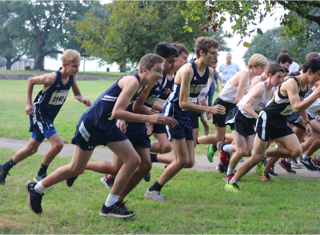 The team continues to improve and is preparing for their next meet, the TAPPS State Meet at the end of October. 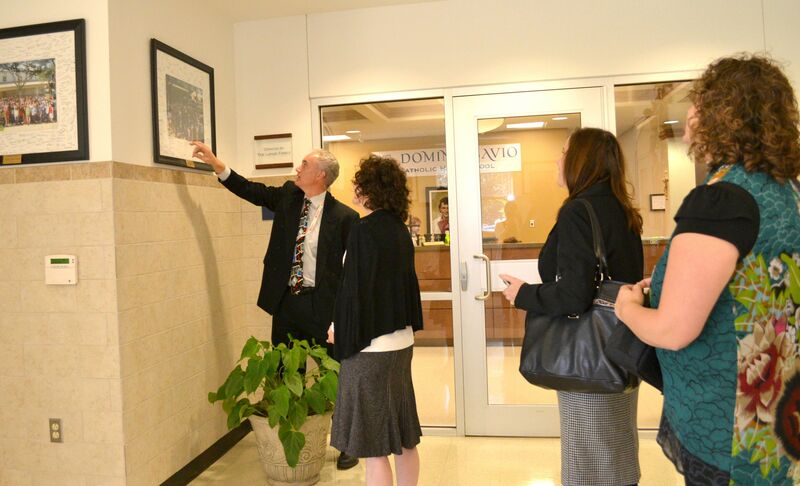 Today on October 18, 2017, the office of Catholic Schools visited Savio for an annual tour of the school. During Mass, we gave a warm welcome to our new Superintendent of Catholic Schools in the Diocese of Austin, Mrs. Misty Poe. 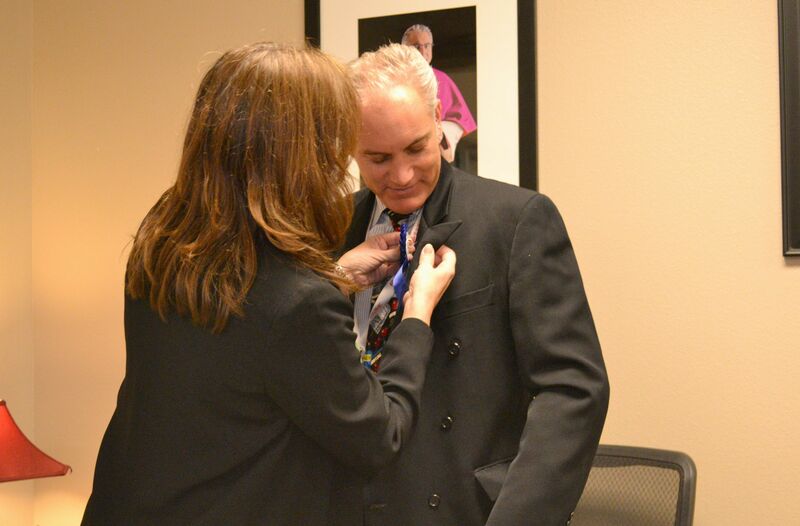 Since the office of Catholic Schools visited on Mr. Daniels birthday, they gave him a birthday ribbon for his suit and a cupcake to honor his birthday during their visit. HOBY stands for Hugh O'Brian Youth and is a leadership camp that empowers young leaders in communities to start service projects to better the lives of all in the world. HOBY’s mission is to inspire and develop our global community of youth and volunteers to a life dedicated to leadership, service, and innovation. 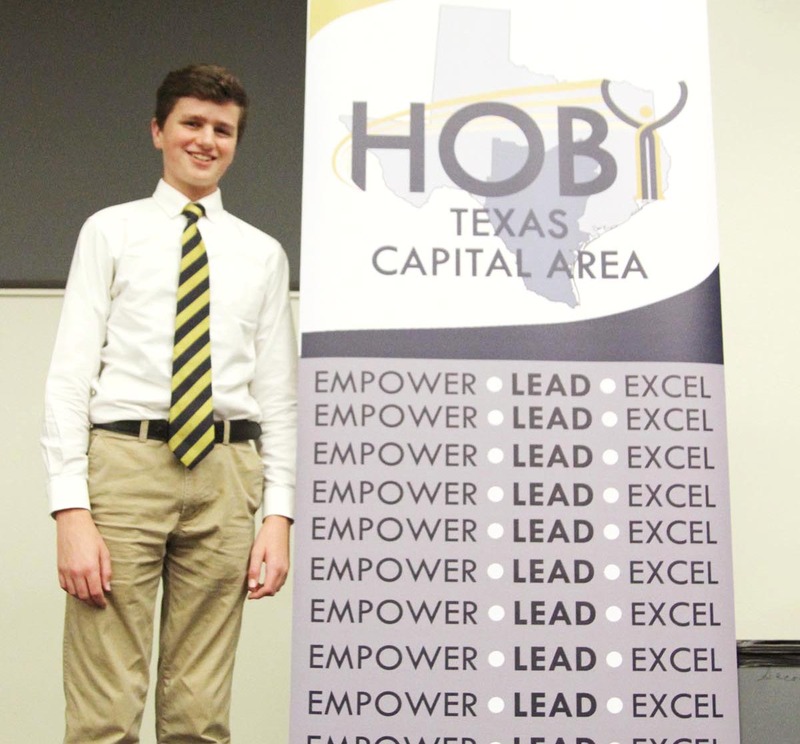 Savio Junior, Will Whitaker attended the Texas Capital Area HOBY Leadership program, which included a collection of student ambassadors from different schools in the Austin area. Together, the students learned more about what it means to be a leader in our community. 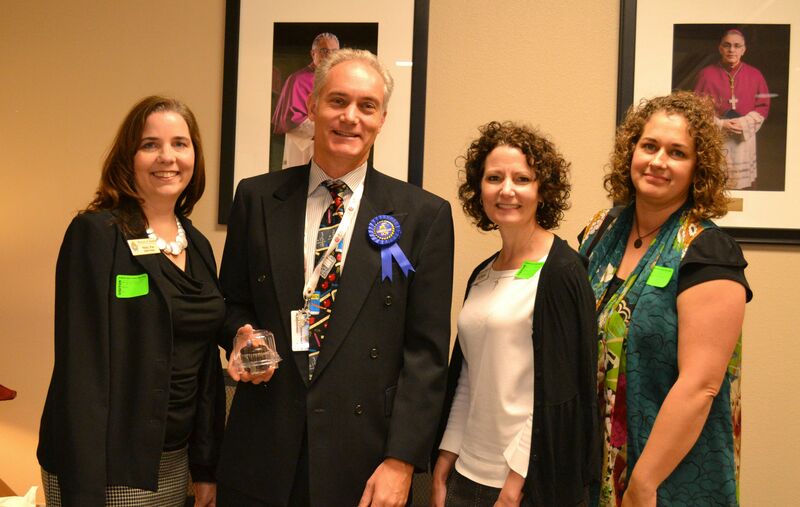 Savio's Guidance Counselor, Dr. Ken Kohutek, presented the idea to Will Whitaker to represent Savio. Will accepted the opportunity as a valuable experience and committed to attend. For over five decades, Hugh O’Brian Youth Leadership (HOBY) program has inspired young people to make a difference and become catalysts for positive change in their home, school, workplace, and community. HOBY has a long and impressive history of successfully motivating youth and volunteers into outstanding leaders. 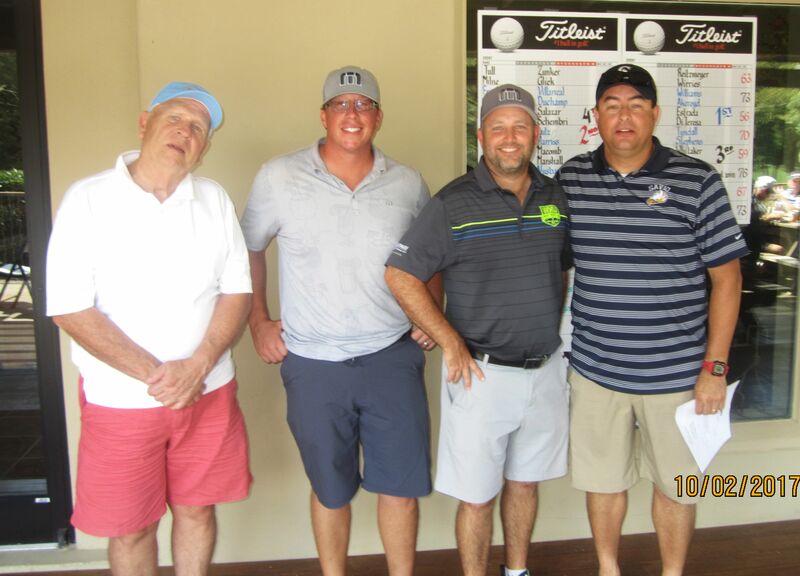 Savio's annual Eagle Golf Classic Tournament on Monday, October 2, was a huge success with more than $10,000 raised in support of Savio Athletics! 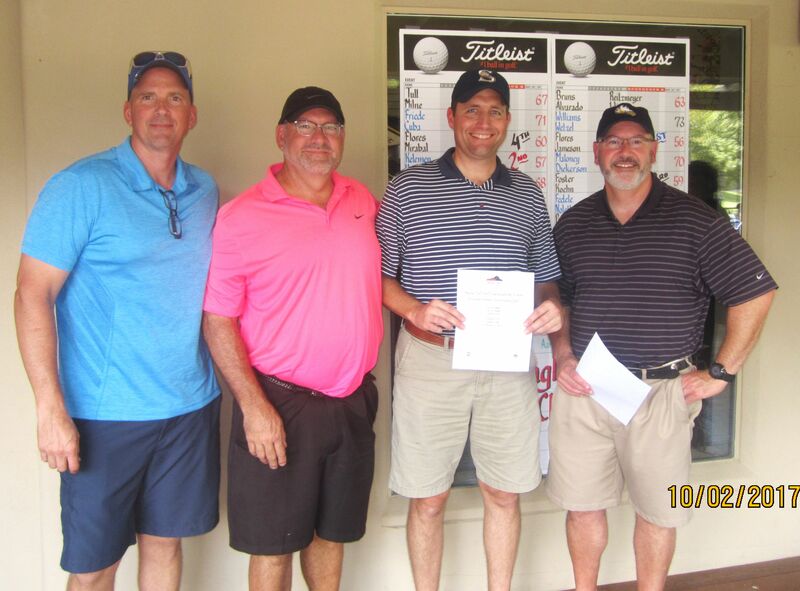 This year's tournament was one of our best to date, but could not have been done without the generous support of all the volunteers, sponsors and golfers who participated. A special thank you also goes to Susan Tull, Booster Club Golf Committee Chair, who worked tirelessly to fundraise and organize this year's event. Additionally, we are sincerely appreciative for the support of our tournament sponsor, Jeff Kress with ReMax Realty. 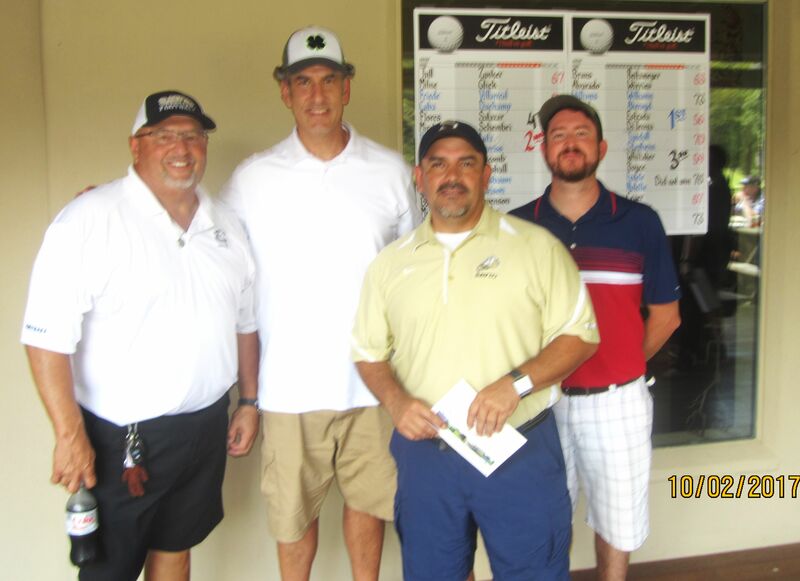 The winner of the longest drive was Aaron Glick and winner of the closest to the pin was Coach Estrada. 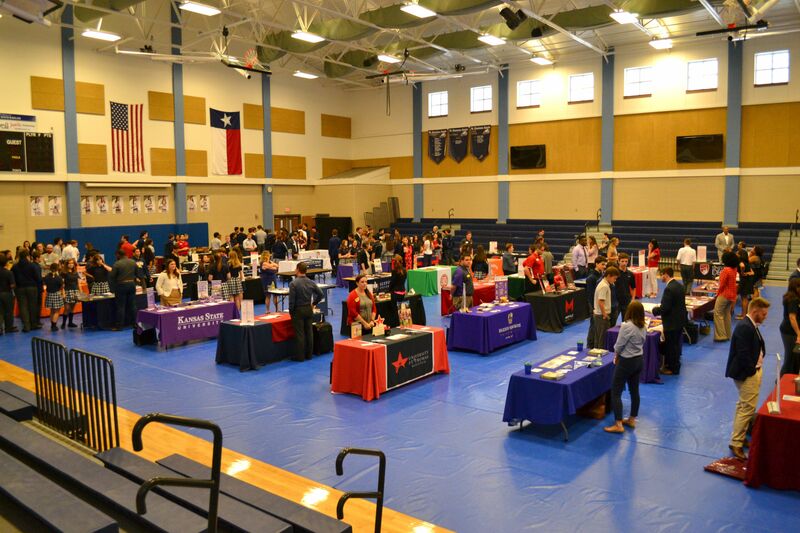 St. Dominic Savio hosted our first TACRAO college fair on Thursday, September 26th with 59 different institutions of higher learning represented. The fair hosted small and medium sized private liberal arts or religiously affiliated colleges as well as large in-state and out-of-state public institutions. By hosting this fair, our students had the opportunity to engage with college admission representatives, learn about admissions requirements and possible majors, as well as learn about potential scholarships. Summit Christian Academy Juniors and Seniors also attended the fair. This was an exciting opportunity to inspire students to ask questions and find many opportunities that are available.